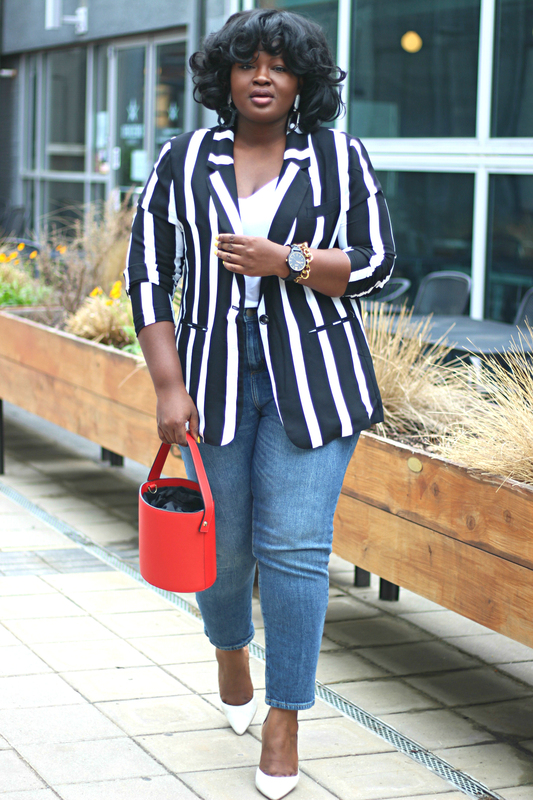 Hi Chicsters, today’s post is all about the blazer. 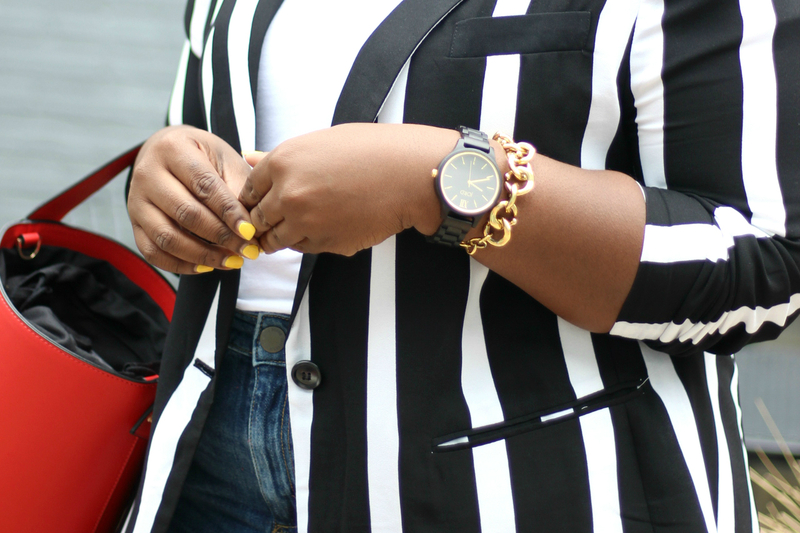 At Supplechic we believe blazers are a year-round staple and are a closet essential. They have the ability to smarten up almost anything and they also have a slimming effect. 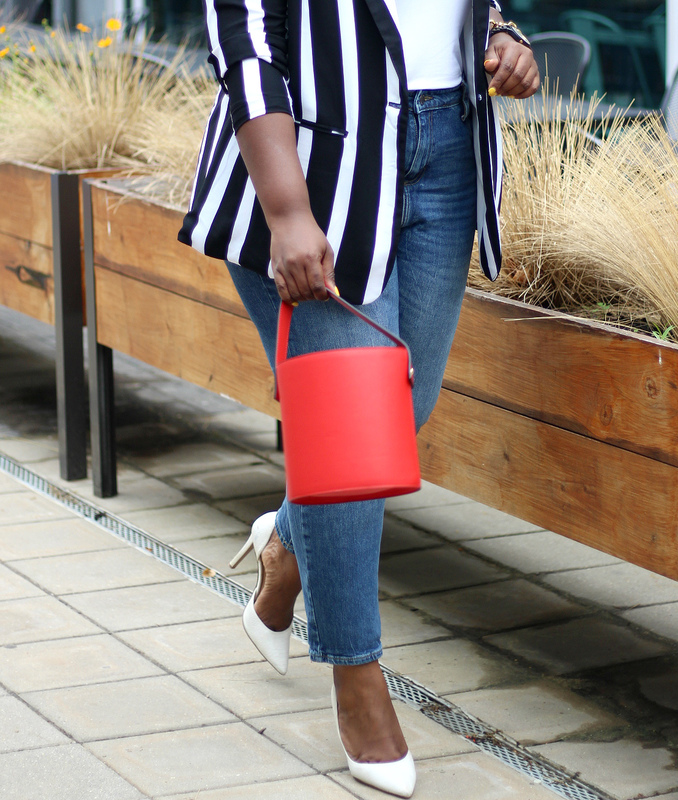 Blazers are definitely not made equal but the great thing about them is that you can find them priced from $20 to $5000. 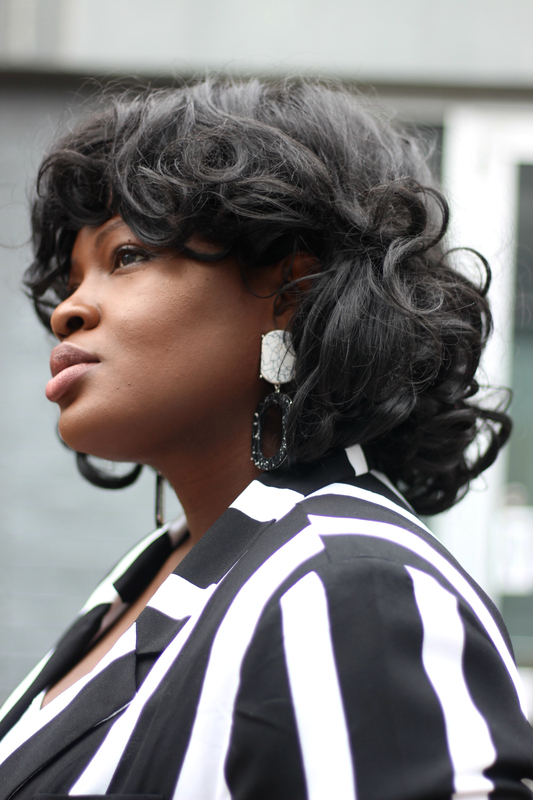 However, because they are an outwear piece it can be tricky to wear them during the summer. Guess what you don’t have to give them up!! 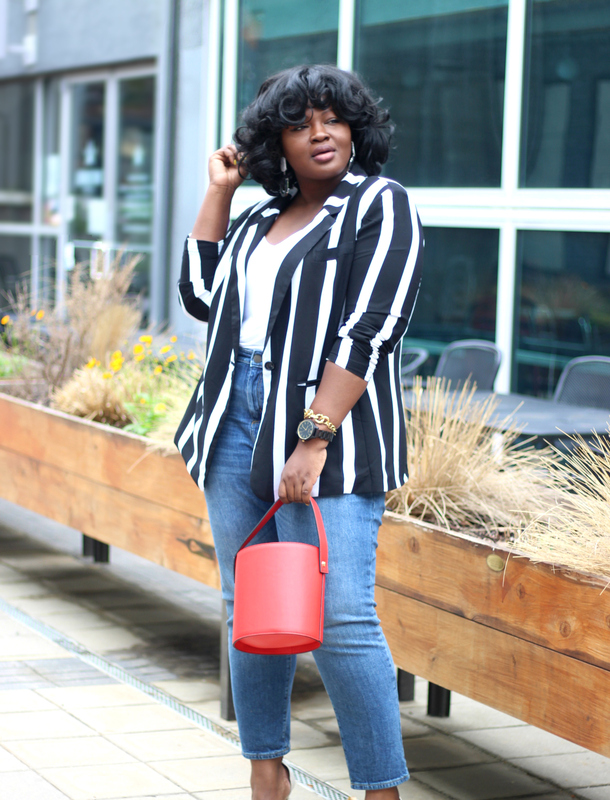 Finally, cut, if it’s unseasonably hot where you are but you still want that blazer look opt for a sleeveless blazer or perhaps a blazer with a sheer panel or lace insert. 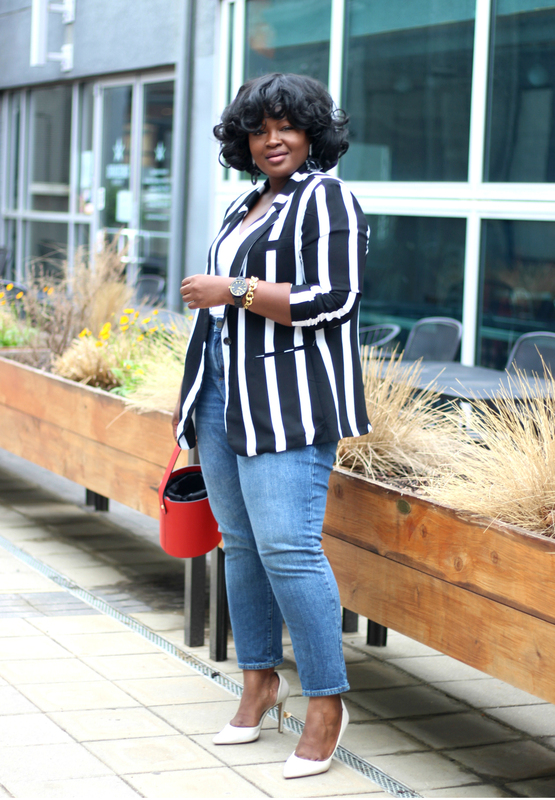 For my look, I went with a striped blazer (sold out Similar) that I actually scored on sale from Forever 21 plus love or hate them you can’t deny that sometimes you find gems. 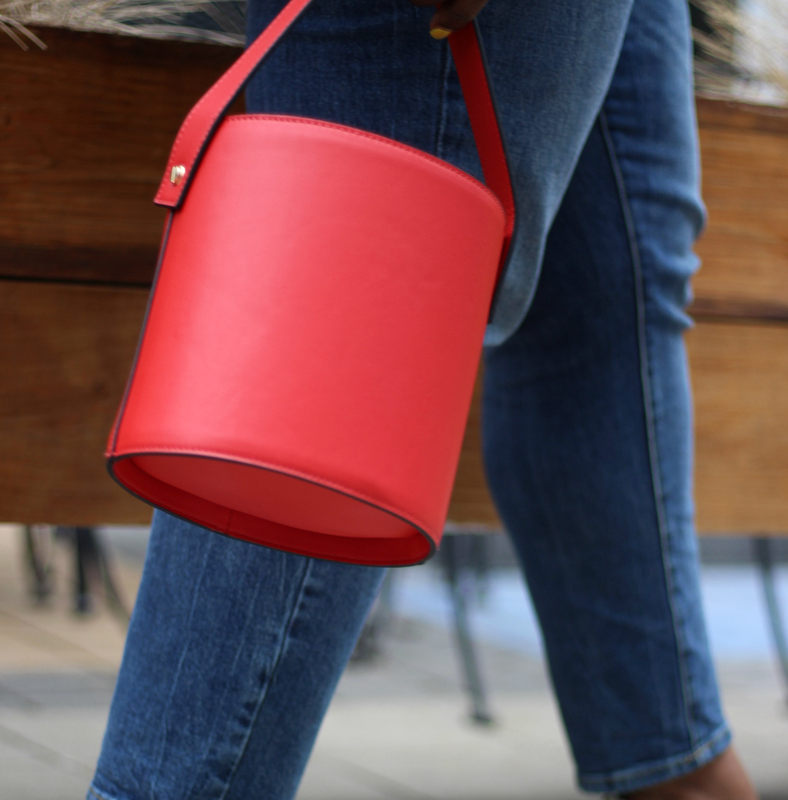 I paired it with jeans naturally white pumps and my new favorite red bucket (dupe alert). 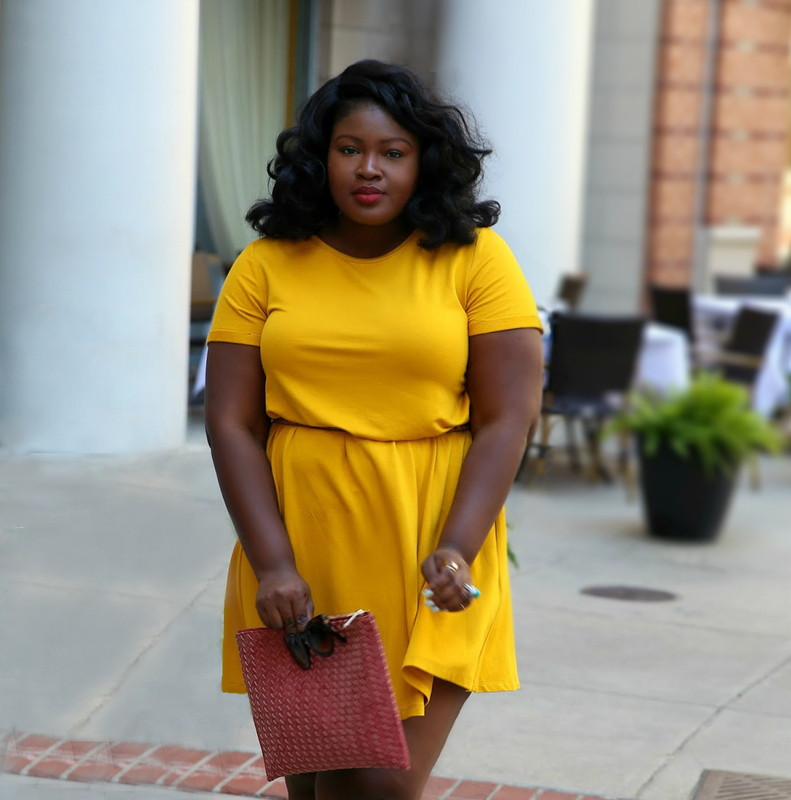 This look would be perfect from an informal meeting, brunch with the girls or getting drinks with a potential bae. 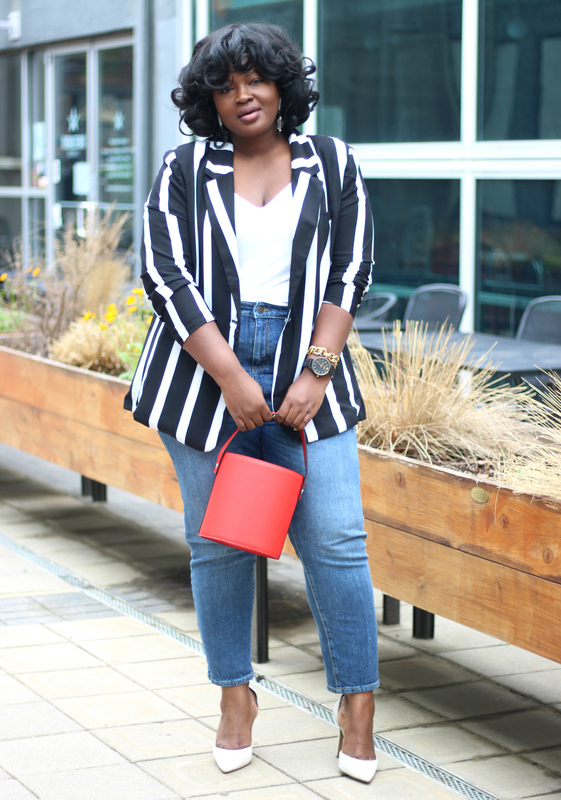 How often do you wear blazers is it a closet staple for you as well? sound off below! !